HR cases are on the rise. Accompanied by costly legal fees, settlements, and irreparable damage to a company’s reputation, now more than ever, businesses are reevaluating their grievance processes. The first step, is of course, to examine the Employee Grievance Form. In order to handle situations “by-the-book,” all HR issues must be properly documented. This begins with a formal dispute submitted by an employee who feels that they were subject to unfair or improper treatment in the workplace. Typically, an employee grievance form will include pertinent contact information for the employee as well as their date of hire, specific department and title, and the name of their direct supervisor. The date of submission and a signature at the bottom of the page or acknowledgment by employee will ensure a legal, binding document if needed by HR to be reviewed in arbitration or court. The body of the Employee Grievance form will include space for detailed accounts of the incident(s) by the complainant, but may also have “Administrative Fields” to be completed by supervisors or HR during an employee investigation. It’s important to make the distinction whether admin fields will be included on the employee form, or require a separate form as the process progresses. In either case, the information should be compiled and archived in the employee’s individual personnel file. In addition to a detailed account of the compliant by a plaintiff, the grievance form should include the name of the co-worker(s) involved, the date of the occurrence(s), names of any witnesses, and any action or confrontation that had taken prior to the formal grievance. Administrative fields may include a formal recommendation of how the situation should be handled, and/or action that should be taken; may cite an HR category of violation that the complaint should be filed under. Either party may refer to a policy infringement or state/federal compliance regulation they feel has been breached. Companies that employ union workers must be vigilant when providing HR grievance forms. 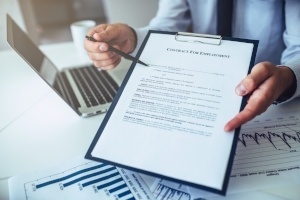 It’s not uncommon for unions to have their own required fields and processes in regards to case management and investigations. Typically, he employee will need to indicate which union they are affiliated with, and possibly the local division. When formulating a document to record an HR issue, revisit union guidelines to ensure you collect the adequate information a representative will need to oversee the grievance process in accordance with union policies. Each union may have their own standard grievance form that will need to be completed in addition to the individual company form from HR. As the complexities of HR and compliance increases, so do the number of employee grievances that are filed each year. Though impossible to prevent issues in the workplace, a company’s best chance at mitigating the risk of expensive litigation is to employ case management software that can streamline grievances and expedite investigations. This will minimize disruption to operations, and provide a swift resolution. Documentation and a strategic, collaborative approach are critical to HR case management. This begins with the grievance form – whether hard copy or online submission. LaborSoft partners with companies to provide the technology and business intelligence needed to oversee risk management. Our innovative system lets you better manage today’s employee and labor relations issues. Our engaging point-and-click features makes it easy to store, search, and archive case-related information. LaborSoft’s documentation, tracking, and reporting ensures HR grievances are facilitated quickly and accurately to save your company time and money managing HR investigations. Learn why more companies are partnering with LaborSoft and integrating HR case management technology into their HCM solution. Contact usto request a customized demonstration and learn how LaborSoft can help you improve communications, build a more collaborative, safe, and supportive workplace, and reduce the likelihood of costly litigation.